Cutting business costs can increase your profitability. 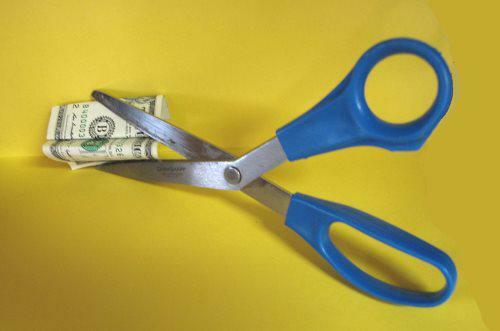 Here are 38 cost-cutting strategies for your small company. Save on postage by delivering invoices and statements via email. Download free online forms instead of buying them at office supply stores. Offer catalogs and brochures as pdf downloads to cut printing and shipping costs. Turn down the heat or turn up the A/C. Set your printer to draft mode to save ink. Re-fill your own printer cartridges. Switch your telephone land-line to VOIP or cable. Use free open source or cloud-based applications. Check every invoice and verify charges before paying. Pay bills on time to avoid fees. Consider telecommuting, virtual assistants, or shared office space. Review your cellular plan usage and compare rates elsewhere before renewing. DON’T cut marketing, but target your niche to get the most for your ad bucks. Cross-train your employees to help each other during crunch time instead of hiring temps. Use interns and freelancers for short-term projects. Take advantage of discounts: 2% for paying early, discount for cash, free shipping over $50, etc. “Fire” customers that waste more time and money than they’re worth. Follow purchase order requirements to be sure your invoices get paid on time. Stop selling to slow-paying accounts. Concentrate on customer service to keep merchandise return rates down. Double-check addresses before shipping to avoid costly mistakes. Include promotional material in outgoing packages: coupons, newsletters, fliers. Use email and social media instead of direct mail to test new offers and coupons for your customers. Shop around for better rates on printing, shipping, and office supplies. Use free shipping materials from USPS, UPS and FedEx. Sign up for free business directory listings online. Barter/partner for advertising – i.e. pizza delivery ads on hotel key cards. Buy used furniture and office equipment. Share your expertise in public appearances, blogs and social media and get free exposure. Look for online tools that offer a free basic service (i.e. Skype) with paid upgrades when you need them. Join a networking group and find a mentor with more experience to advise you. Look for rebates/incentives to replace old equipment with newer more energy-efficient systems. When travelling, use free airport shuttles and eat lunch where there’s free wifi, but be sure to follow these wifi safety precautions. Don’t book at a convention hotel without comparing rates with your AAA, AARP or credit card discount. Meet clients between meals in a quiet upscale hotel lobby.